Pre-workout supplements have many things in common, but it’s quite rare to find one that would not improve your energy and focus. In this review, we’ll be taking a closer look at True Grit Pre, a pre-workout supplement designed to improve your focus, energy, and stamina as well. It is currently one of the most popular PWOs today, thanks to the ingenious marketing arm of True Grit. If you haven’t heard of True Grit, then you might be missing on a lot. 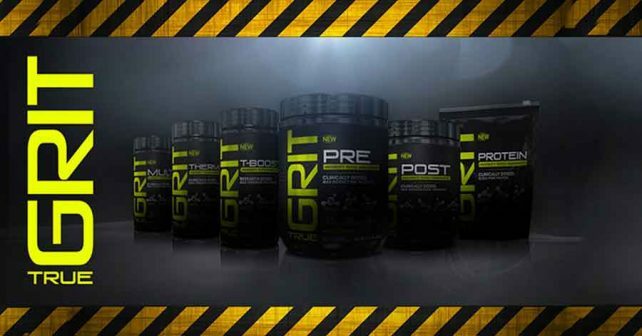 A couple of years ago, many have not even heard of True Grit, but now it’s battling industry heavyweights like MuscleTech, MusclePharm, and Bpi Sports. True Grit has its own list of supplements for you to choose from, and the first one on the list is True Grit’s Pre-workout supplement. Read the rest of our review to see what we think about True Grit Pre. Pre-workout supplements like True Grit Pre contain an ample amount of stimulants. In this case, True Grit Pre contains 175mg Caffeine anhydrous, and 65mg L-Theanine. These two ingredients pretty much function in the same way – to boost your energy during workouts, and also to kick-start lipolysis to give you an energy boost. Who uses True Grit Pre? True Grit offers some of their products in a stack, and it wouldn’t be a surprise if users got it from one of their deals. Pre-workout supplements like True Grit Pre are used by people who want to increase their workout performance by doing longer, more intense workouts – workouts that would not be possible without the help of a pre-workout supplement. We measured the effects of True Grit Pre based on other pre-workout supplements that we found to be effective. First off, what we liked about True Grit Pre is the transparent supplement profile that includes all of their ingredients, complete with the amount per serving. If you’ve read our pre-workout reviews, you know by now that we’re particularly touchy when it comes to caffeine, since caffeine is also used by other supplements as the go-to stimulant. True Grit Pre only contains 175mg of caffeine, which is within the normal content, and this also leaves it free to be stacked with other supplements. What we liked about True Grit Pre is the addition of 1.6 grams CarnoSyn, 1.5g Creatine, and 750mg Arginine. These ingredients are essential especially when you’re planning to do intense workouts. The amount per serving may be a bit low compared to other post workout supplements, but as a pre-workout supplement, those levels should be okay. The only thing we’re not too happy about is the pricing. At $34.97 per 30 servings, it’s just a dollar north per serving, which makes it a bit expensive compared to other products. Overall, True Grit Pre is a well-rounded product. Not too heavy on stimulants, but not too light on the contents as well. It kept it essentials intact, but the price is a bit high compared to other supplements that contain the same (if not higher content). For best results, stack True Grit Pre with NitroGenix 365 to boost strength and recovery. NitroGenix 365 enhances your body’s blood flow, which subsequently allows your muscles to get the nutrients that it needs faster.